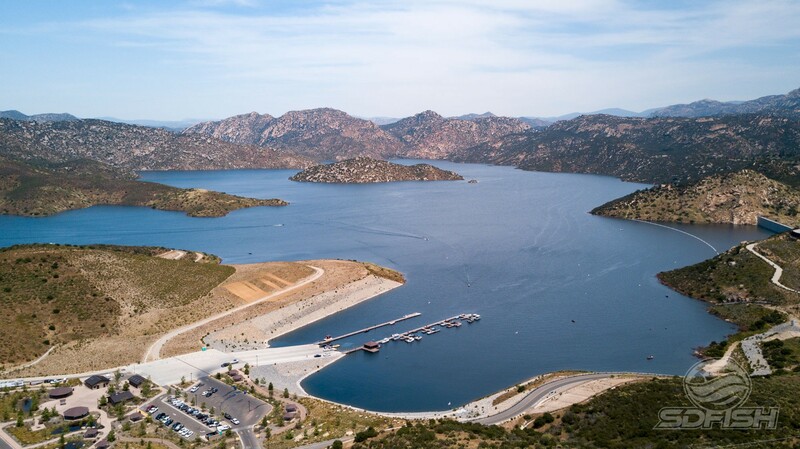 San Vicente Reservoir reopened for fishing and boating on September 22nd, 2016 after being closed for more than 8 years while it underwent a massive project to raise the height of the dam by 117 vertical feet – the tallest dam raise in United States history. San Vicente is located 25 miles northeast of San Diego in the rural foothills of Lakeside. (13600 Moreno Ave. Lakeside, CA 92040). 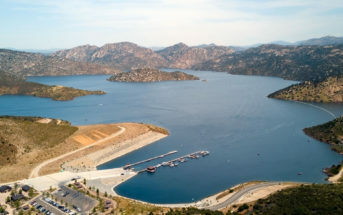 San Vicente Reservoir is by far the largest reservoir in San Diego County in terms of water volume with a total capacity of 249,358 acre feet, more than twice that of the 2nd largest reservoir, El Capitan. The original dam at San Vicente Reservoir was completed in 1943, creating a reservoir with 1,069 surface acres and 14 miles of shoreline with a maximum depth of 190 feet. In 2009, the San Diego County Water Authority began a project to raise the dam an additional 117 feet, allowing the lake to store an additional 152,000 acre feet of water providing another 500 surface acres. That project was completed in 2012, and the reservoir reopened on September 22nd, 2016 after a new marina and dock facilities were added. San Vicente Reservoir is owned and operated by the city of San Diego. Concession services, including the rental boat fleet is operated by Rocky Mountain Recreation. San Vicente’s new marina facilities are the best in the region, complete with a 900 foot long 6-lane launch ramp, spacious parking lot, restrooms, and modern bait shop and concession store. Shoreline accessibility is extremely limited, and there are no public fishing docks. San Vicente is a steep-sided clearwater reservoir which is dominated by warm water species like Florida strain largemouth bass, crappie, redear sunfish, bluegill, channel catfish and blue catfish. 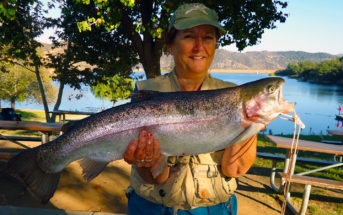 Rainbow trout are occasionally stocked by the state of California’s Department of Fish and Wildlife in the winter. While best known for the tremendous bass fishing, San Vicente is home to the last two blue catfish state records; a 101 pounder in 2000 and the current record, a 113 lbs. 5 oz monster caught in 2008. Currently, due to the quick rise in water level, the lake bottom is covered in flooded chaparral brush, trees, and rock piles. There is no shortage to the amount of available cover anglers will have to navigate. Quagga mussels are present and are affixed to nearly every tree and bush in the lake and have caused the lake to reach unprecedented levels of water clarity, exceeding 30 feet in some areas.